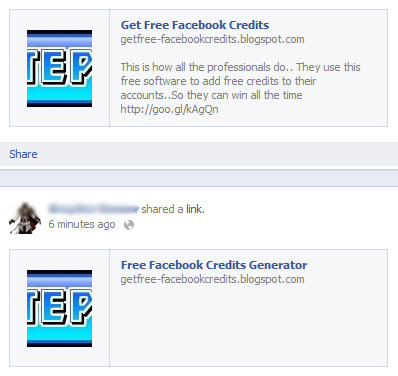 Free Facebook Credits is a very popular lure, so be suspicious of any offers like this. Facebook Credits cost real money, so you aren’t likely to find a promotion where a large sum of them are given away for free. Also be wary of free offers or anything that sounds too good to be true. 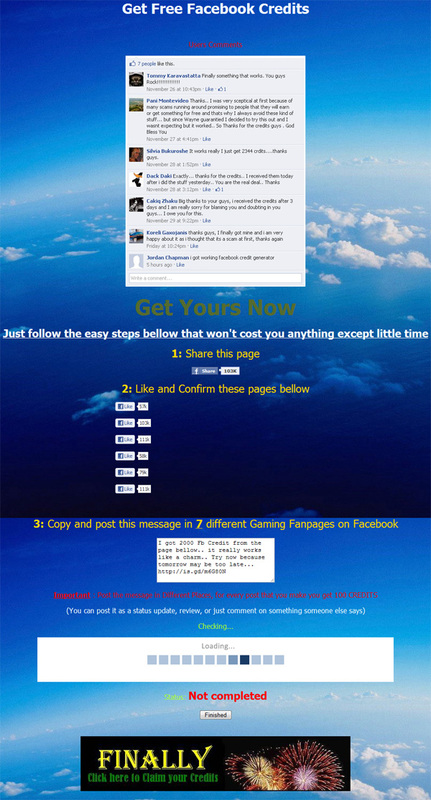 For more information on Facebook scams related to free offers, please see our alert: Beware of Facebook Freebies!